Silver Spring Estate Services, Inc.
About Silver Spring Estate Services, Inc. Welcome to Silver Springs Estate Services, Inc., where we take great pride in offering the families of the greater Milwaukee area personalized, professional, and caring services when they are faced with the overwhelming task of having to liquidate their own or a loved ones estate. As a family owned and operated business, we have the experience and dedication to handle each situation differently and effectively based on an individuals specific needs. 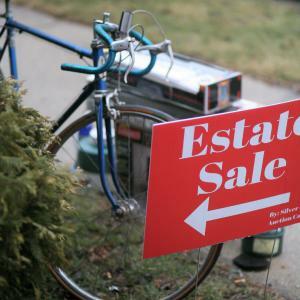 We will handle all your needs from, On-site Estate Sales, On-Site Auctions, Buy-outs and Clean-outs. We invite you to contact us for assistance in answering a question or setting up an appointment with us. We look forward to hearing from you soon! Mid Century Modern, Antiques, and Christmas Estate Sale! Huge Monthly Off Site Estate Sale-Mid Century Modern, Antiques, and More! What People Say About Silver Spring Estate Services, Inc.
We choose Silver Springs for their evident drive and eagerness. We couldn't be more pleased with their services! They were easy to access, answered all of our questions, and provided an exceptionally professional sale event. We would highly recommend them to everyone! Follow Silver Spring Estate Services, Inc.